While the DxO 'Measured ISO' numbers are very helpful for photographers and consumers who take the time to understand what they mean, they have nothing to do with actual ISO, as defined by the one and only standard that counts. DPReview has also been specific in stating that it's improper to mix the DxO numbers up with actual ISO numbers. It gets worse as you go higher. This is why it looks so clean compared to the competition at any "equivalent" ISO. The GH2 also under-rates but not nearly as much. The lowly G5 is very close to spec. This is also a commonly-held misconception, but it is also incorrect (and has also been directly addressed and contradicted by DPReview employees). I suggest that you read the following statements from Andy Westlake (Technical Writer at DPReview), who took the time to explain some details about DPReview's testing regime and ISO, with the E-M5 tests and measurements as the original grounds for the discussions that were started. This DPReview article on ISO may also help to clear up any lingering misconceptions you might still have. To the OP: Scott's explanation for the E-M5's apparent superiority is technically incorrect, which fact is backed up by official statements from DPReview employees. The superiority you are seeing is actual, and cannot be explained away by any supposed 'tricks' performed by Olympus (Olympus has performed no tricks w/r/t ISO, as a matter of fact, according to the ISO standard), although many try to do exactly that, anyway. Regarding the feel of the E-M5: My hands are average size. I use the camera without a grip and am very comfortable with it. I also like the fact that there are multiple grips from different makers available, and that, even if I decide to buy a grip at some time, I can always remove it if I want to go back to a very small camera that, with a pancake affixed, will easily fit in a jacket pocket. Good luck finding a camera that works for you - the E-M5 and GH3 are both excellent choices, IMO! My only "lingering misconception" is that if you need to set ISO 200 on an E-M5 to get the same exposure as you would from (say) a D800 at ISO 100 with aperture and shutter speed held constant (I am using for this example the RAW files from IR, who used f/8 and 1/20s on these respective cameras), isn't "ISO performance" a rather worthless metric if taken at face value? We test ISO, essentially according to the SOS method, and present the results in every review. All of our further tests are implicitly based upon that, because they're exposed so particular reference grey patches are rendered at a standard brightness. 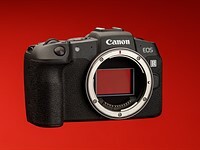 You do need to pay attention to those ISO test results when comparing cameras. My interpretation of the above-linked statement by Andy Westlake is that the information you are seeking is contained in the results of DPReview's own ISO test results, which they do publish for each camera. I'm also not trying to bait anyone (to be clear). It's a somewhat complex subject. I'm trying to discuss it in a respectful way, and I will also admit that I thoroughly misunderstood it several months ago (and probably still do misunderstand it on several levels today). But (I hope that) I'm getting better.